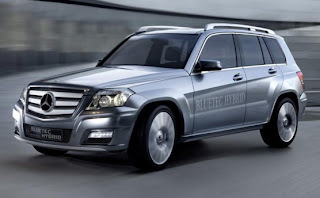 With diesel becoming a popular option for drivers, Mercedes-Benz has announced that the 2012 GLK will also feature a 2.2-liter BlueTEC diesel engine. The fuel economy and quieter engine make this an excellent choice for diesel drivers. While this GLK will initially cost more than the gasoline version, the price can be offset by the increased fuel economy. This BlueTEC technology isn't limited to the 2012 GLK-Class, the next-generation C-Class is planning on BlueTEC a engine, adding to the already established E, M, GL, and R-Class Mercedes-Benz. If you're looking for a BlueTEC vehicle in the Seattle area, check out the BlueTEC vehicles at our state-of-the-art dealership in Lynnwood.